Summer. The word might make you think of free time to read, swim, or catch up with friends and family. At Deerfield, we keep pretty busy during the academic year, so those summer months are a precious break to be used wisely. 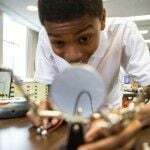 Whether you are a middle school student looking to take advantage of all that our Experimentory program offers, a local budding artist looking to participate in our day arts program, a member of a KIPP school hoping to attend the summer KIPP program, or a current Deerfield student who is looking to explore your summer options, this is the place to start. 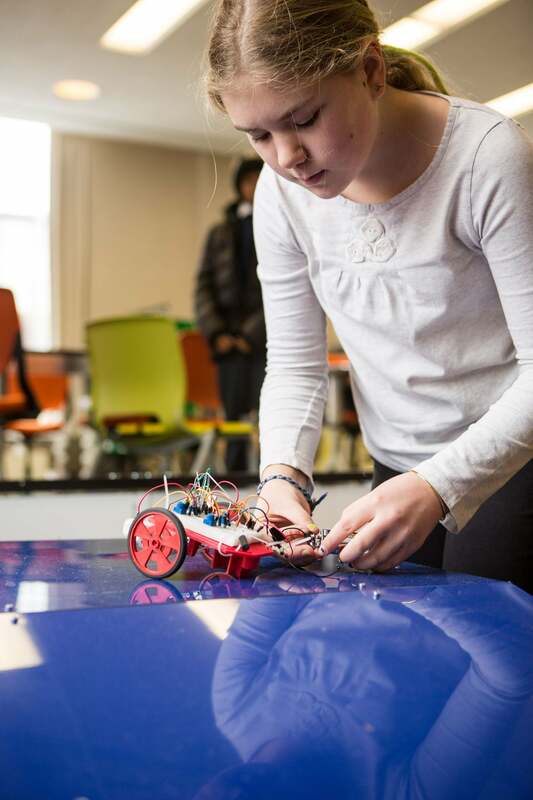 A two-week or four-week summer program for students entering seventh, eighth, and ninth grade, the Experimentory at Deerfield Academy allows students to delve into project-based, interdisciplinary learning. 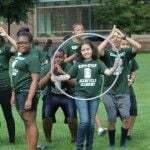 Deerfield Academy Summer Arts Camp (DASAC) is a two-week DAY program (9 am to 5 pm with NO boarding available), founded in 1990, that focuses on experimental and traditional arts in a day camp setting, for campers ages 11 through 16. 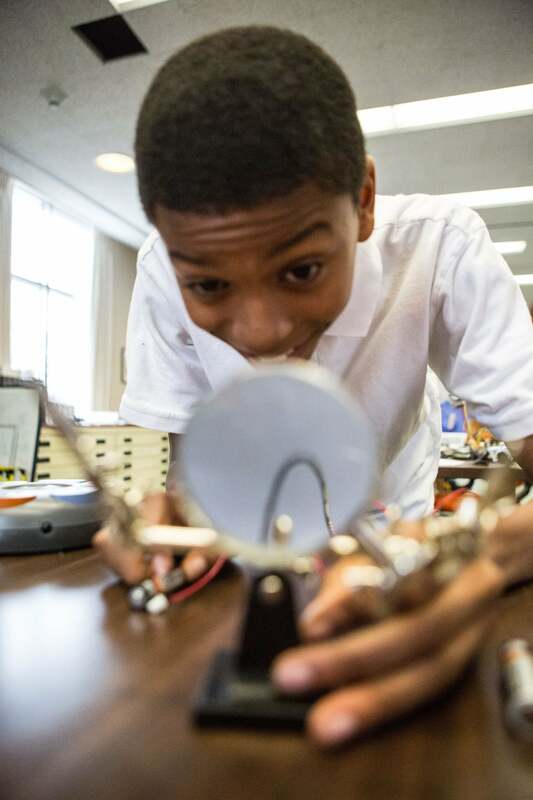 The KIPP STEP Summer Program provides a opportunity for selected seventh graders from the Pioneer Valley and from other KIPP middle schools to experience the academic rigor and lifestyle of a top boarding school. Many Deerfield students use their summers as times of exploration and discovery for their future, others earn money for school or family, and still others serve communities across the world. Outside of the classroom, students engage in activities geared to inspire leadership and collaboration. 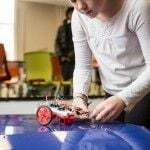 They also take their learning further afield with a series of day trips to explore amusement parks, whitewater rafting, ropes courses, and other areas around Massachusetts. 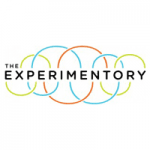 Visit the Experimentory online to learn more and apply. Get a taste of the Experimentory experience on Facebook, Twitter, Instagram, YouTube, and Flickr. Or contact Program Director Jill Schaffer with questions. To participate in the arts as a means of self expression. To develop and refine technical skills to serve this expression. To build a sense of positive affiliation with a community of fellow artists/learners. To develop a sense of responsibility for the goals of one’s artistic expression. To develop social awareness of and responsibility for the role of the arts in society. Read more on the DASAC site. 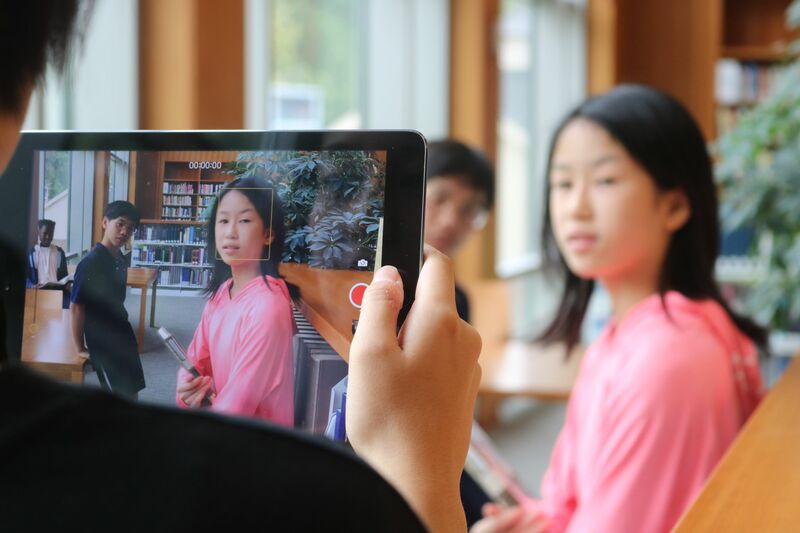 The KIPP STEP Summer Program at Deerfield provides a unique opportunity for selected seventh graders from three middle schools in the Pioneer Valley and from dozens of KIPP middle schools around the nation to experience the academic rigor and lifestyle of a top boarding school. The program’s emphasis on science and ELA will develop students’ skills in research, writing, presentation, discussion, studying, time management, and critical thinking–skills necessary to find success in the most challenging academic environments. The program also aims to spark a passion for science in students through the intensive physics and biology focus. Participants will benefit from the low student to teacher ratio, small class size, and intimate nature of the three-week residential program. The KIPP STEP Summer Program is intentionally designed for academically strong, intellectually curious students who exhibit character, personal responsibility, independence, leadership, teamwork, and a strong and sincere interest in attending a boarding school. In partnership, KIPP and Deerfield Academy teachers design the curriculum and deliver instruction during the program. Students will engage in four 70-minute academic periods per day with additional time devoted to independent study, advisor meetings, sports, the arts, field trips and fun. Saturday morning classes will be held. 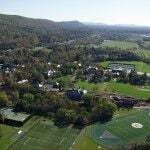 Living on the Deerfield Academy campus in dormitories with adult supervision, student will experience the structured independence associated with boarding school life. If you have questions, please contact Program Director Heidi Valk or Program Coordinator Caitlyn Welch. Many Deerfield students use their summers as times of exploration and discovery for their future, others earn money for school or family, and still others serve communities across the world. All are important growth experiences that can help lead to opportunities down the line. How might you find summer opportunities? Who on campus can help? This tip guide is intended to help point you in the right direction. However, you should know that at Deerfield, it is the student that needs to do the legwork. While there are people here who can serve as a resource, the student must be the one to perform the necessary steps of researching and applying for opportunities. To help you start that process, please feel free to reach out to us as you start your journey. Center for Service and Global Citizenship (CSGC) Faculty Led Travel: Our travel programs offer students an opportunity to develop the skills and attitudes essential to global citizenship. By challenging students to consider new perspectives and different cultures, these trips seek to integrate a Deerfield education with the shifting realities of the wider world. Led by experienced Deerfield faculty, these programs also allow students to deepen their relationships with the faculty leaders and their fellow travelers. Many of these trips take place over the summer months. Learn more on the CSGC page. CSGC Grants: These grants invite Deerfield students to serve others by providing funds to advance positive change. Learn more on the CSGC page. Summer Science Research: If you would like to explore a field of science, technology, engineering, or mathematics, you might consider research in a lab setting. Read more on the Deerfield Canvas Page for Summer Science Research Programs (students must be logged in to Canvas to view this page). Summer Classes and Programs: Taking a class over the summer or taking part in a summer program can be a valuable experience. There are many options available. For more information, contact Mrs. Thiel or the College Advising Office. Not sure where to start or just need help finding a direction, you can contact your advisor or visit Mrs. Schaffer.